Traditions are good, but even better when they are alive. To draw people’s interest in the arts and crafts or terroir products, there’s nothing better than a festive atmosphere and authentic experiences around traditional festivals. Inhabitants and visitors happily mingle to enjoy such moments at music and special events. Music festivals, folk markets, fairs: what they have in common is the rallying effect between the elders who remember and the youngest who learn. 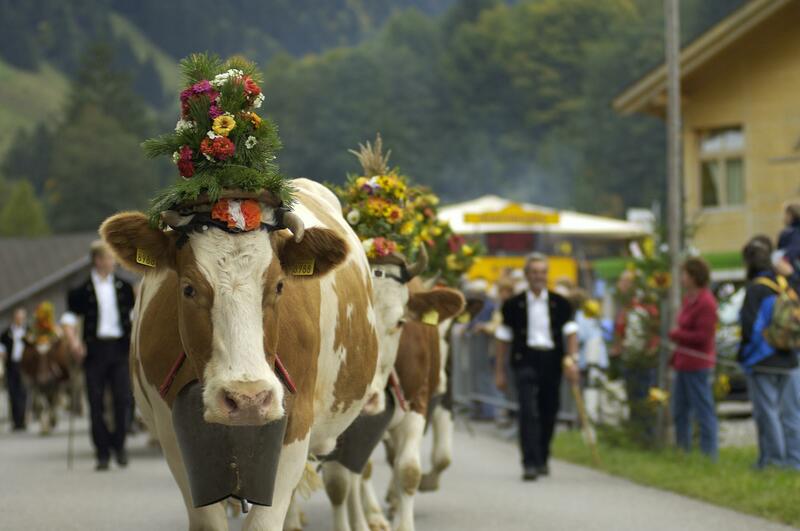 Among these festivals, the désalpes are certainly the most traditional. They mark the end of the alpine summer season when the herds come down to the plain from the mountain pastures. This moment is as important now as it was to the farmers in the olden days.